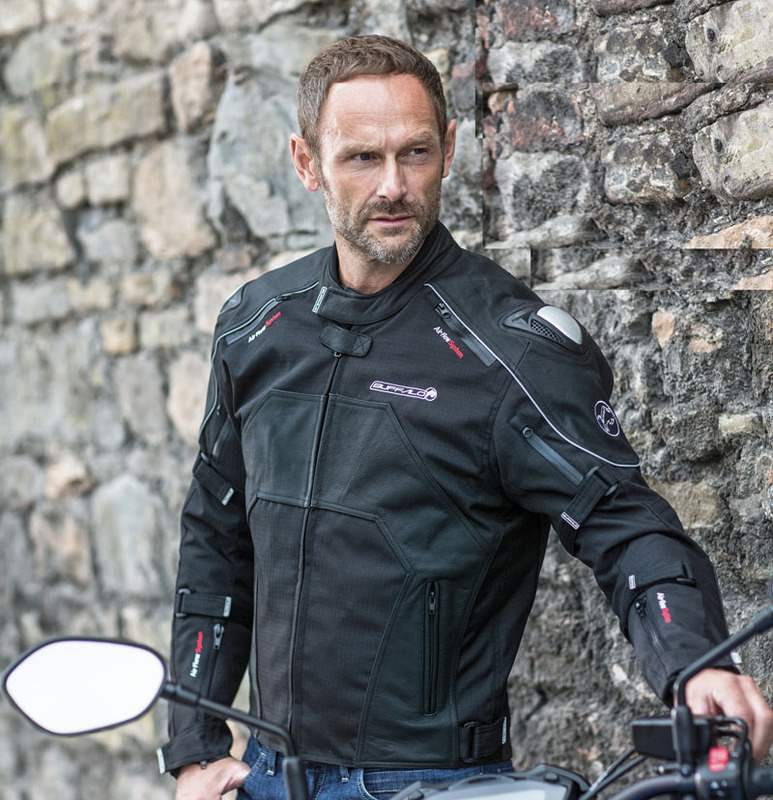 Buffalo’s new Atom jacket combines tough 600 denier Ripstop Nylon with full-grain leather panels to create a jacket with the power to last. 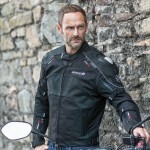 CE-approved shoulder and elbow protection is fitted as standard, with the option to fit a back protector, and the shoulders are reinforced with TPU inner cups and external sliders. 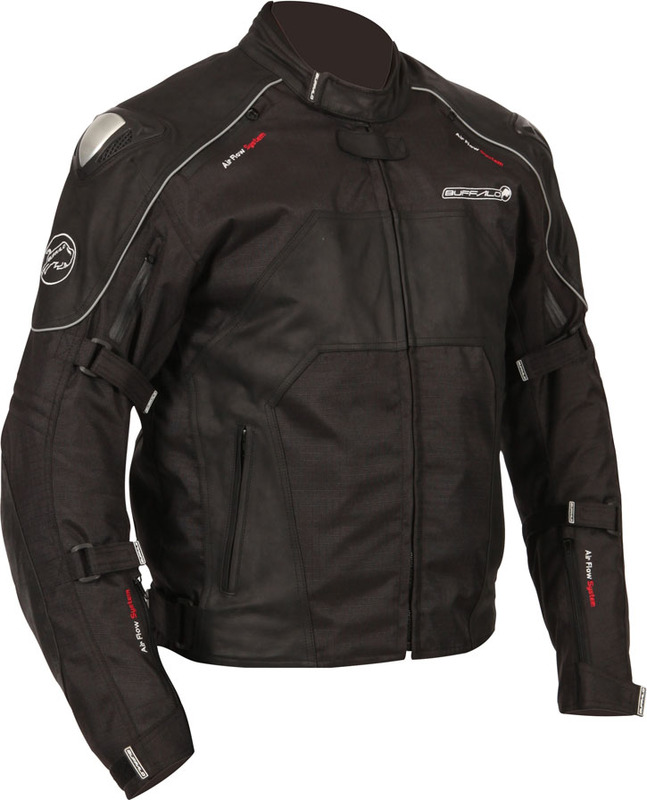 Weather-proofing is provided by a waterproof, windproof and breathable drop lining, plus a removable 120-gram thermal quilted lining. 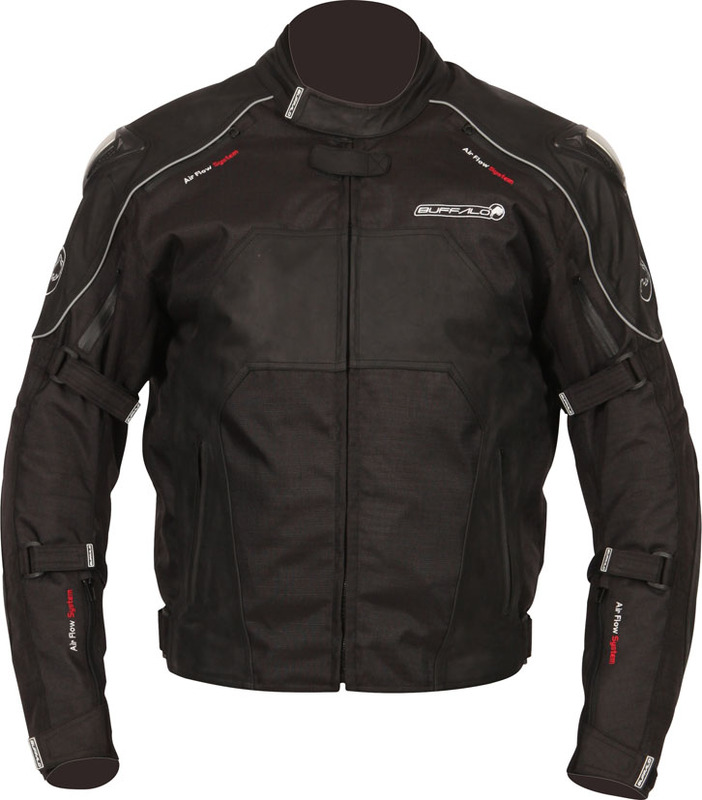 When the temperature rises, ventilation at the shoulders, upper arms and rear of the jacket can be opened to allow cooling airflow. 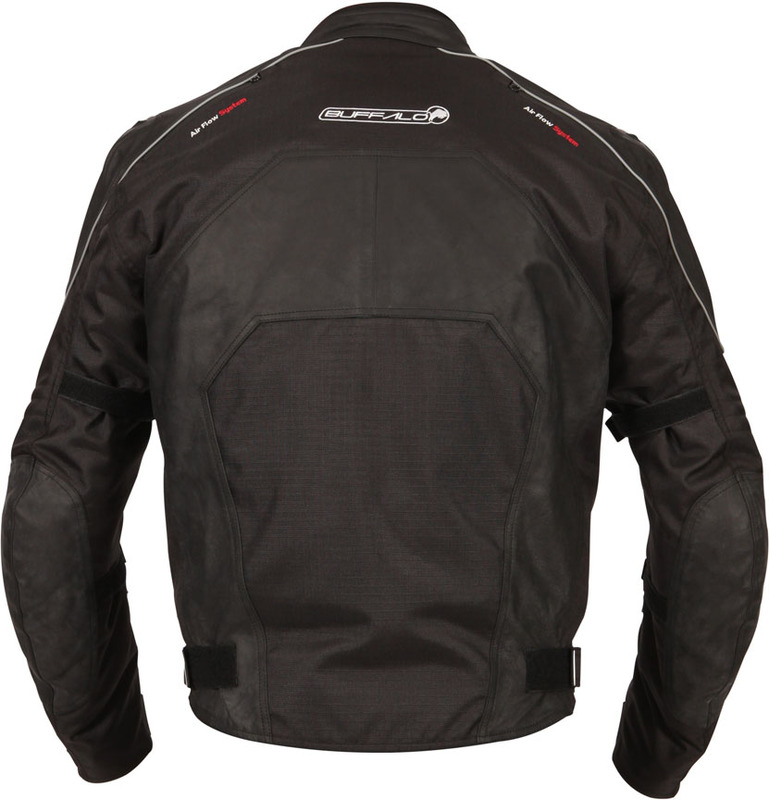 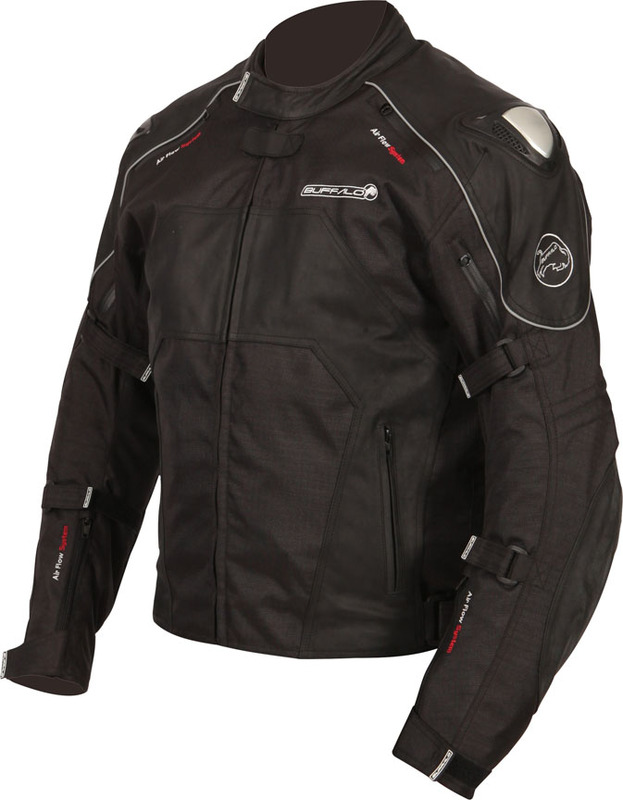 An adjustable twin belt system at the waist and Velcro-retained adjusters at the collar and cuffs provide a snug and comfortable fit, Velcro adjusters on the arms prevent annoying ‘billowing’ and an 8-inch trouser connection zip prevents the jacket from riding up. 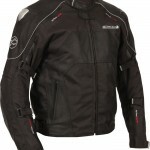 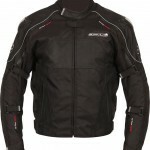 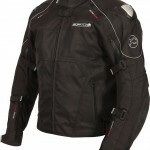 Topping off the impressive specification are two external hand-warmer pockets and three internal pockets.